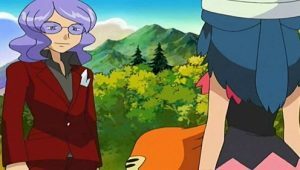 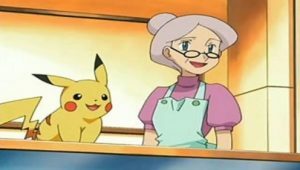 Dawn needs to turn in her coupon for a new Pokétch application, but she has to do it at the Pokémon Center on the far side of the forest, and time is running out! 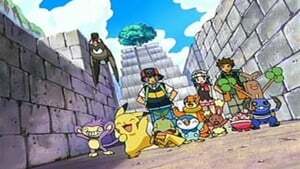 Team Rocket, wearing disguises, hands Dawn and her friends a fake map and tells them there’s a shortcut through a nearby cave, but first they want to take a photo of all our heroes’ Pokémon. 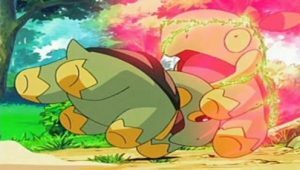 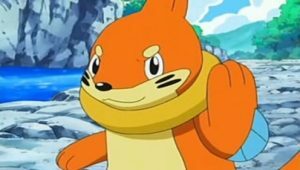 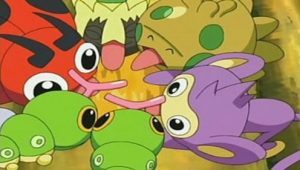 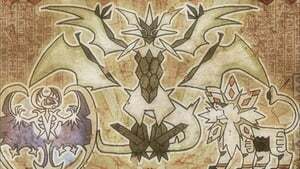 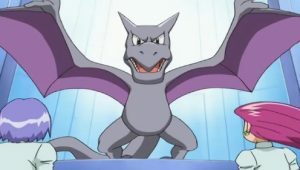 Before Team Rocket can complete their plot, a group of Graveler and Golem stampede through the cave, splitting up our heroes and all their Pokémon! 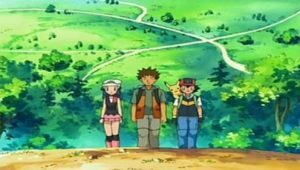 Now Dawn, Ash, and Brock are wandering through the cavern and the outdoor maze at the cavern’s end. 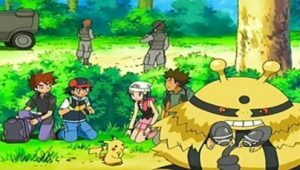 Meanwhile, Team Rocket discover why the Golem and Graveler were in a hurry: they were fleeing an irritated Onix! 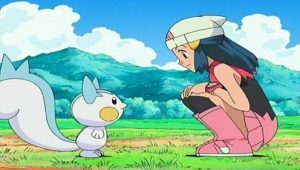 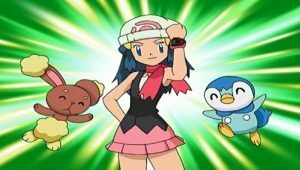 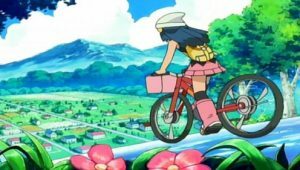 After some misadventures of her own, Dawn and Croagunk are reunited with Brock and several other Pokémon, including Ash’s Staravia. 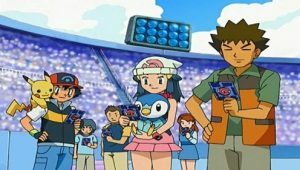 When Brock asks Staravia to search for Ash in the maze, Team Rocket swoops down and nabs it! 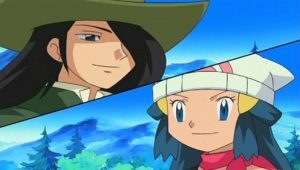 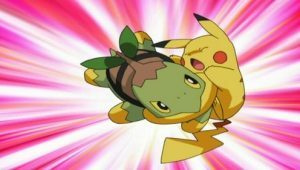 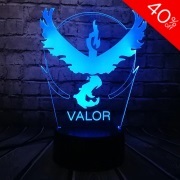 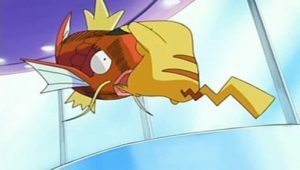 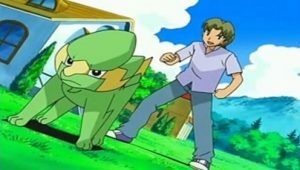 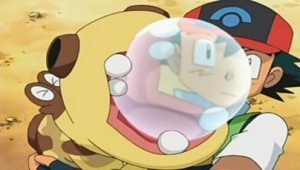 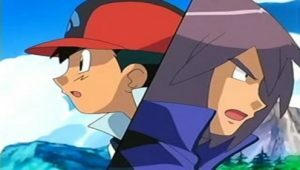 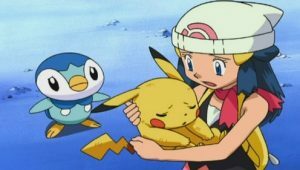 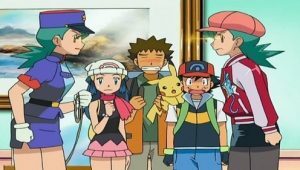 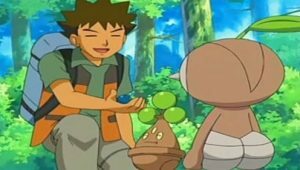 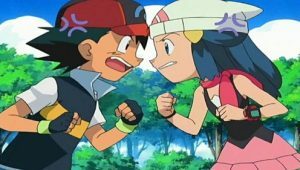 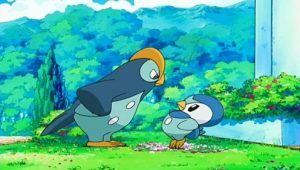 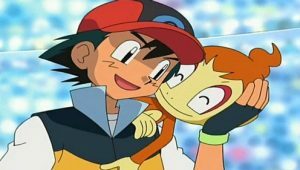 Fortunately, Ash is nearby and he hears Dawn and Brock calling for him. 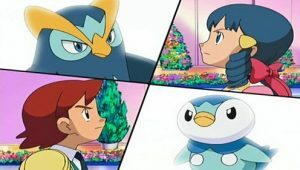 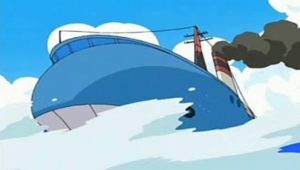 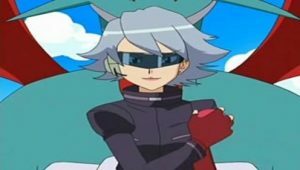 He also sees Team Rocket with his Staravia! 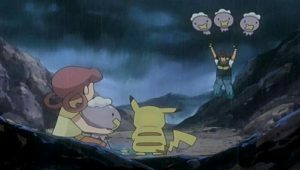 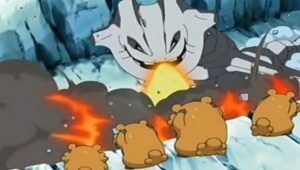 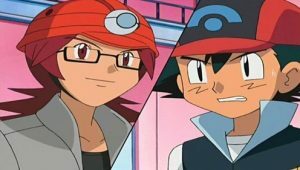 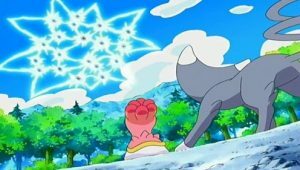 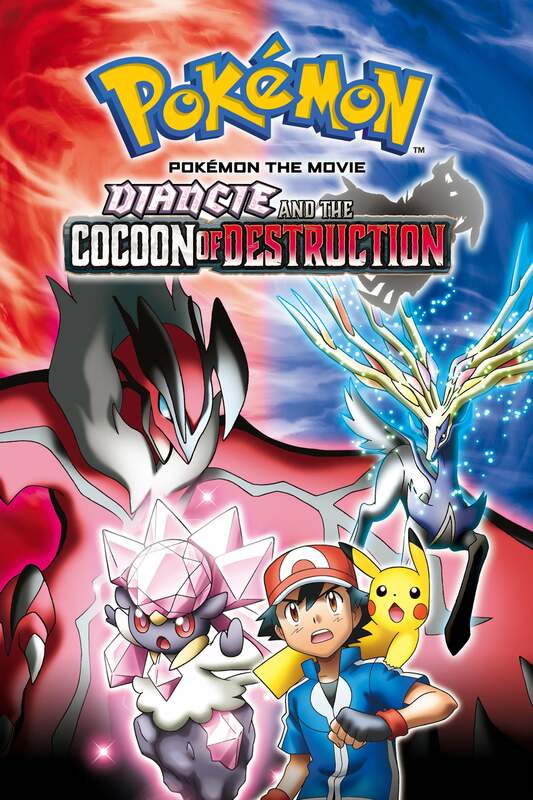 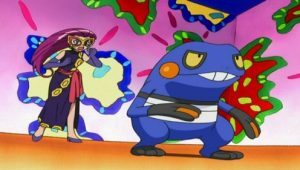 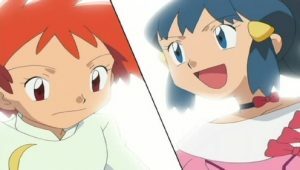 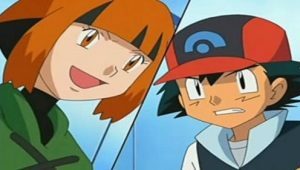 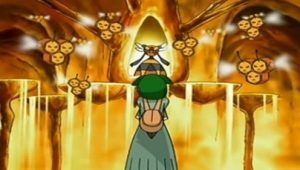 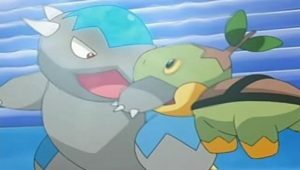 Ash has found many of Dawn and Brock’s Pokémon, so he has them try to stop Team Rocket. 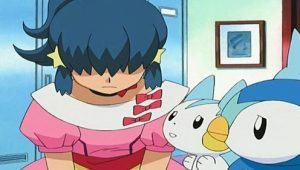 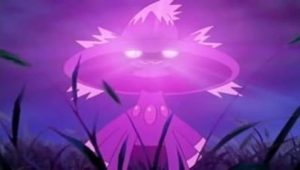 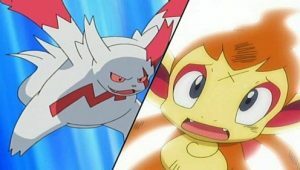 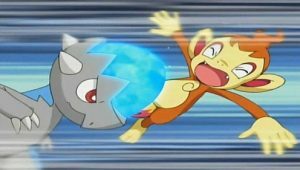 Pachirisu accidentally shocks its own team and Team Rocket escapes-for now! 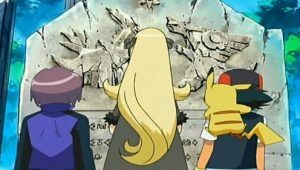 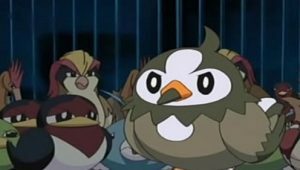 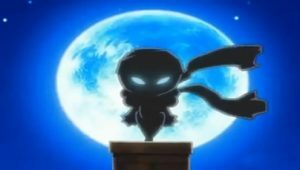 Our heroes decide to work together to break through the wall separating them and soon the whole team is back together, except for Staravia. 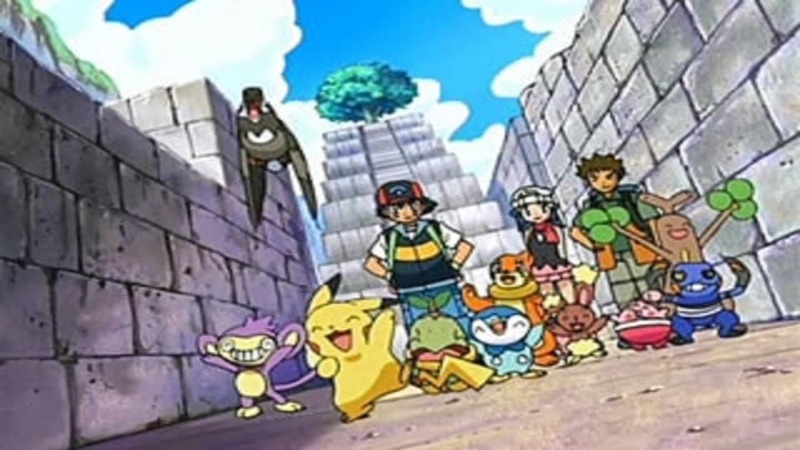 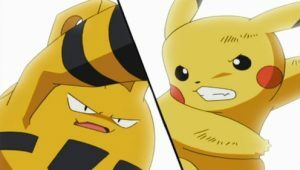 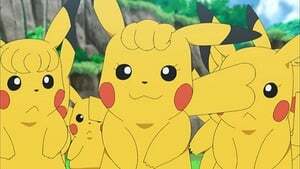 Team Rocket come back once again, unable to resist the thought of all our heroes’ Pokémon together in one place, but Ash and Pikachu are ready for them. 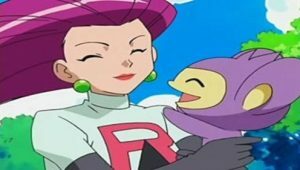 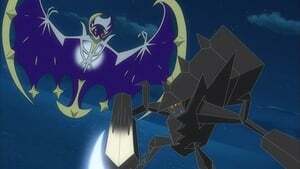 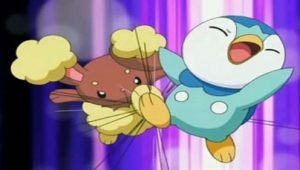 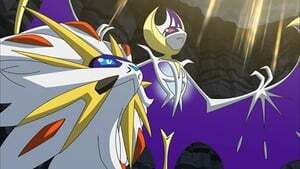 Pikachu frees Staravia, then sends Team Rocket flying into the stratosphere. 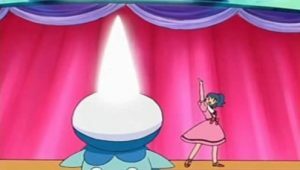 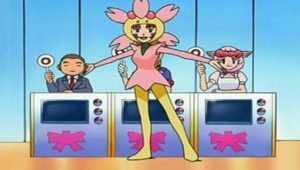 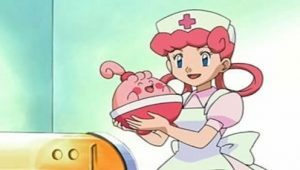 And even after all this excitement, Dawn still makes it to the Pokémon Center in time to get the Coin Toss application for her Pokétch!